The well-known, buttery fruit of the Hass Avocado tree is rounder than its cousin, the Fuerte. The tree is named for its creator, Rudolph Hass, who succesfully secured the first tree patent in the U.S. for the Hass Avocado in 1935. The creamy, hardy Fuerte Avocado has a mild but rich flavor. It aptly earning its Spanish name, which translates to “strong,” after successfully surviving a severe frost in California in 1913. Developed from a seedling found in California in 1948 by James S. Reed, the Reed Avocado’s fruit is large, with skin that ripens to a beautiful green hue. 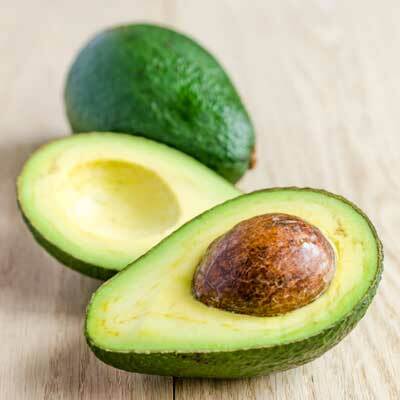 Smooth, delicate and with a slightly nutty flavor that is particularly popular among vegetarians, the fruit of the Reed Avocado is delicious eaten whole, sliced into salads or on a sandwich, or crushed into fresh guacamole. The Lamb Hass Avocado produces what is commonly referred to as the “California Summer Sun Variety” - a large, robust, oval-shaped fruit featuring pebbly dark green skin, medium-sized seed, and a smooth, creamy, greenish flesh with a slightly nutty taste. The Mexicola avocado originated in Pasadena around 1910! Ripening in August to October, this avocado is a small and compact fruit with a shiny black skin. It is easy to peel and is delicious in salads, on sandwiches, or made into guacamole.